How do I compare the content of two directories? In order to get the new webserver to respond the new name. Usually one must must add the virtual host to the web server configuration. Check that the new service is working at the new host. Change the the hosts-file on a client computer. On Ubuntu (Linux) and macOS it is called /etc/hosts and Windows %SystemRoot%\system32\drivers\etc\hosts usually c:\windows\system32\drivers\etc\hosts. 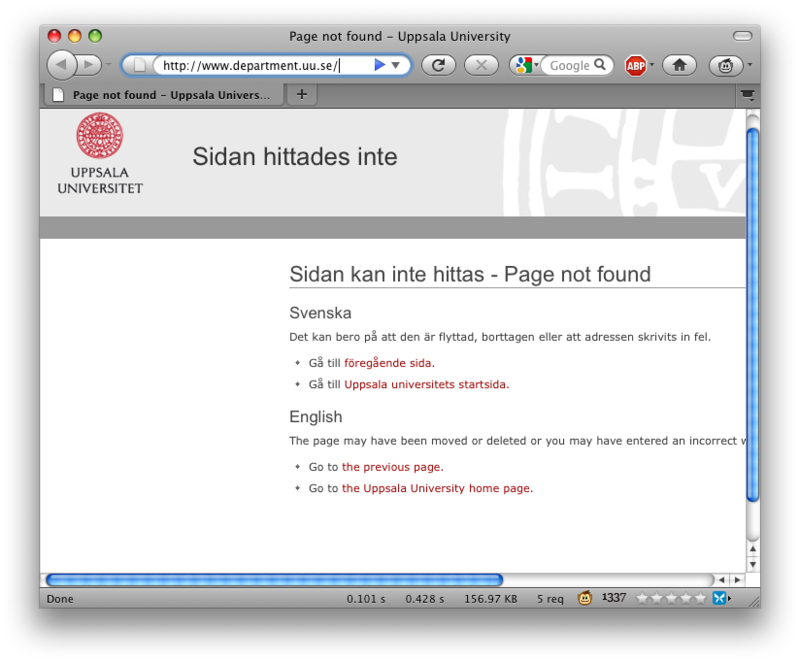 Now restart the local webbrowser (Firefox, Internet Explorer etc) and open the website (http://www.department.uu.se/). 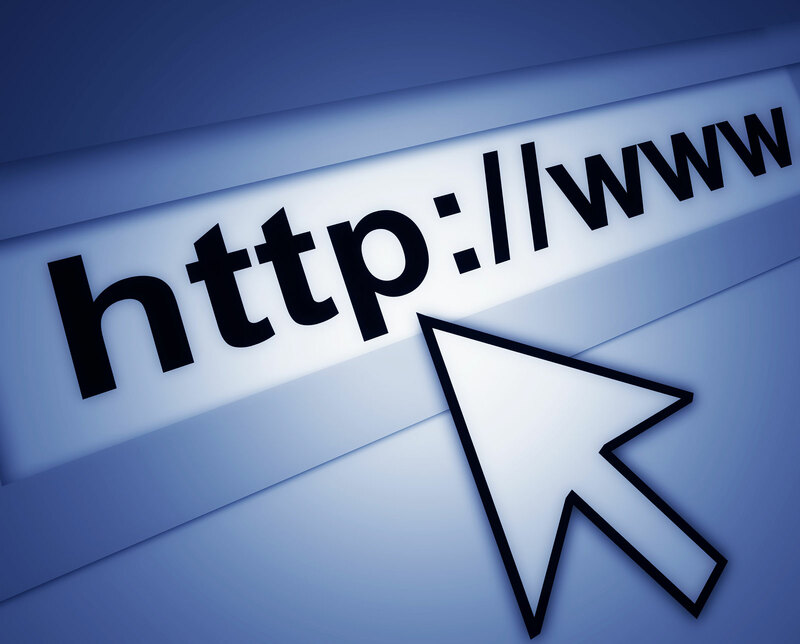 Your webbrowser will now contact the new IP-address (picked from the hosts-file). If the website has two names (www.department.uu.se and department.uu.se), you need to test them both. If the the web browser shows an page like this you need to activate the web site on the new web server. If you run Apache you need to create the correct VirtualHost. Contact the responsible person for the webserver or the web site and let them fix the problem before you proceed. When everything is OK proceed to the next step. Also, remember to remove your changes to your hosts-file. Then check the SOA field of the domain. The SOA record contain information on what what the contact person is for the domain. When querying for SOA also authoritative nameserver may be shown. Use the command Dig for this. Dig is included in macOS and Linux and may be downloaded for free for Windows. There are two interesting things in this output. The contact person is domainmaster@uu.se. The first unescaped . (dot) in the field is substituted to an @. There are DNS-servers on uu.se. If you are a webmaster or system administrator for the department in question, go ahead. If you are not a webmaster or system administrator for the department in question, get a confirmation from the webmaster or system administrator. Include the confirmation in the mail to the domainmaster. Or, if you wish to change both http://www.department.uu.se and http://department.uu.se it may look like this with only IPv4 addresses. To: domainmaster@uu.se From: me@department.uu.se Subject: change webserver www.department.uu.se department.uu.se Hello, Please remove the old A-record for department.uu.se and any record for www.department.uu.se. Add the following: department.uu.se. IN A 130.238.39.248 department.uu.se. IN A 130.238.39.252 www.department.uu.se. IN A 130.238.39.248 www.department.uu.se. IN A 130.238.39.252 Kind regards, My contact information. If you have any questions contact helpdesk@bmc.uu.se or domainmaster@uu.se.